ASP.NET Web form with VB.NET. I have legend on the form. I tried using the Wingdings3 font. It looks fine in design view. When I run it in IE11 it does not show in the Wingdings3 font. It just shows the letter you use instead. So I thought I would try an imagebox control. It will not browse to the image folder of my project for some reason. So I dragged/dropped the image from folder to design view. Again it shows in design view, but does not show at runtime in IE11. The method I prefer to use as it is the easiest and looks best is to use the Wingdings3 font. How do I get it to show at runtime? How do I get rid of the border and get it to show at runtime? How are you embedding the fonts in your web page? https://weblogs.asp.net/sreejukg/using-custom-fonts-in-your-web-pages to understand how to use WEFT tool from Microsoft to do it. Unfornately, none of that works. I tried 4 different online converts to convert the wingdings.ttf to a .woff file and a .eot file. Windows failed when I tried to install them in the Fonts folder. I believe they will have to be installed in the fonts folder so I can see them in the designer font property so I can change it to the converted font. Please never use path for web like this. Whenever you give a path with C:\... it means the same has to be true for your clients so it "might" work on your machine(given security settings of your browser) but will not work for your client (as your site will come from Internet or Intranet zone and security restriction will block such calls to local file system). If after fixing the font family and providing proper path it still does not work, I suggest, take a clean project/page and try this technique so if there is some other css error is interfering we can rule that out. I am experienced in VB.NET. The ASP.Net is all new to me and I am still learning it. There is a space in font-family name because the font name in the property for the label has a space in it and I thought maybe they had to match. The reason I tried using the C:\... path is because as I said, Windows will not allow me to install the converted fonts. Therefore, the fonts are NOT located in the fonts folder as normal. So I used the C:\... as one last try to get it to work. Also, because I cannot install the converted .woff and .eot fonts, I cannot see them in the designer. Hence, I cannot choose them in the designer to set the label font property. I am thinking it is not possible to use the Wingdings3 font on a web form app. As the doc you referenced says, Windows wants a .woff font for web pages (which is weird because .ttf works everywhere else) so you have to convert the ttf to woff. I did that, but Windows will not accept those converted files and install them. No worries. I will give you step by step guidance to include these fonts on your web page. And I believe you will be able to quickly migrate to ASP.Net as you already know VB.Net. It is fine that font family has a space in its name. We have to match it in CSS by putting it in inverted comma. that's all. Fonts in terms of Windows Apps and Web based apps work VERY differently. 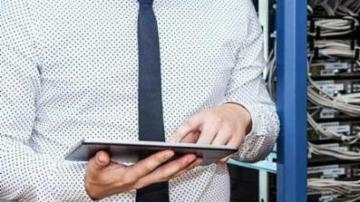 For Web Apps they don't have to exist on end user's machine NOR you have to install them on your machine. All you have to do is, put them in your web app and define them in CSS so they will be automatically downloaded to your client's machine and it will be used from there - no need of installation. And when it comes to the Web, please avoid using the designer. Most of the things you can code quickly by writing the HTML behind it - and to tell you the truth, the HTML that you write will be much better than the code the designer generates and will give you more control over your app. And the idea that I gave you, I never said you have to use those fonts in the designer. You can continue using TTF in the designer, just modify your CSS so that the font is available to the end user and include those font files in your CSS folder. 1. I created a standard VB.Net WebForms project. 4. Copied these new fonts to my fonts folder(And the TTF one too). 5. Opened default.aspx, I added one label. 7. Save and Run the project. Thanks for the explaination. To be clear, this is a ASP.NET Web Forms app. I am using VB.NET as the "code behind" I think they call it. - You said "...include those font files in your CSS folder." I have no idea where the CSS folder is located. Where do I find it? - Step "4. Copied these new fonts to my fonts folder(And the TTF one too)." Where is the "my fonts" folder located. If you are talking about C:\Windows\Fonts, it will not let me copy the convereted fonts to that folder. It automatically tries to install them, fails, and does not copy them to the folder. - Step "6. Opened Content\Site.css and added these ". I am guessing I can put this in my ASP.NET code / .aspx file instead? Yes. I understand that you are using VB.Net/ASP.Net WebForms, I used the same project template to do this PoC. Please let me know how familiar you are with Visual Studio IDE? based on that I can be as detailed as required. And, now to answer your queries(All those queries are related to Solution Explorer), press CTRL + L and a windows explorer like interface will open in Visual Studio. There is a chance that it is already open though and pressing CTRL + L will bring it in focus. It will show you current project and all the related files. 1. 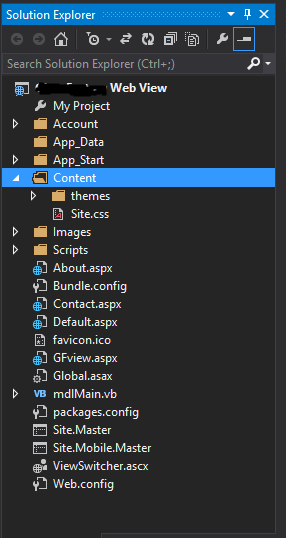 CSS folder is inside Project Root Folder -> Content folder. No need to copy fonts here as it was a typo, just follow the steps. 2. Fonts folder is in your Project Root folder. Do not copy these files to your Windows Folder. 3. No. Please do not experiment with it just yet. Yes you could do it very well but then you have to do it on each and ever page where you need those changes. Also, if you want to include them in ASPX directly, CSS style will be a bit different. You have to put that code between <style></style> element. When you put something in Site.css it is applied universally to all of the pages deriving from your Master page. I am fairly familiar with IDE , mostly for VB.NET, a little for ASP.NET. If it matters, I am using VS2013. As you can see from my Solutions Explorer, I have no CSS folder and I have no Fonts folder. Even if I expand any of the other folders, those foldes do not exists. I have also looked for them in Windows Explorer. Great. It makes things a lot easier. 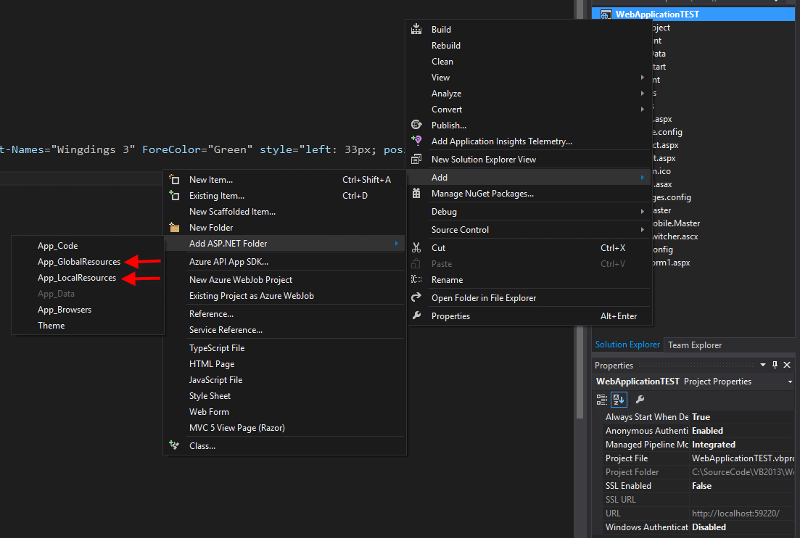 It seems VS2015 and VS2013 templates are different but that is fine. So, you don't have a CSS Folder that is fine as mentioned in previous reply, It was a typo, just follow the steps, in my steps I have not mentioned CSS folder. i have mentioned Content\Site.css, you will add the style sheet in that file. I do see that you do not have a Font folder in project root so please create a folder called fonts, now copy all the fonts in that folder. After you copy them, please right click the fonts and do confirm that they are included in your project. You will see an outline of their icon if they are not included in the project. I don't think this is going to work. Please post your entire default.aspx. I don't even have a real default page for this app. It is whatever VS throws in there. I have no idea where to put the line in at, but you can see it in there. It is probably worth noting, I never use this default.aspx page. I just start my ...asp.vb form in testing. To learn more about ASP.NET, visit <a href="http://asp.net" title="ASP.NET Website">http://asp.net</a>. The page features <mark>videos, tutorials, and samples</mark> to help you get the most from ASP.NET. 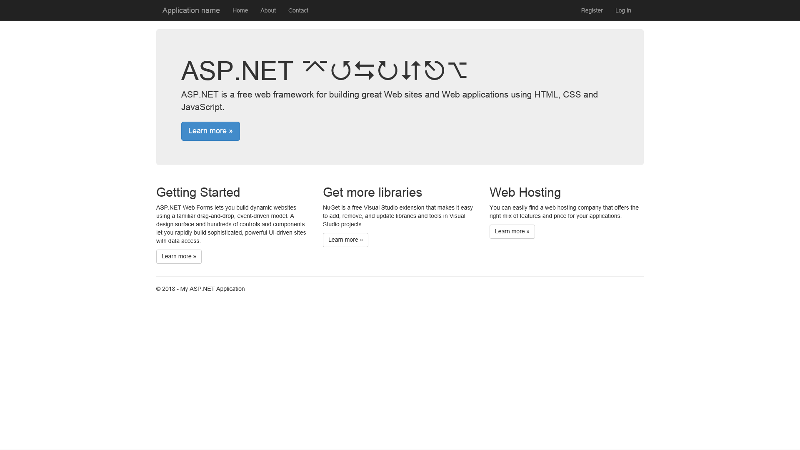 If you have any questions about ASP.NET visit <a href="http://forums.asp.net/18.aspx" title="ASP.NET Forum">our forums</a>. ASP.NET Web Forms lets you build dynamic websites using a familiar drag-and-drop, event-driven model. And where is your Alert level content in this page? 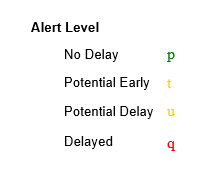 I have no idea what Alert level is. Moving the line in default.aspx made no difference. where is that content on this page? I'm sorry, I thought you meant in the default.aspx. 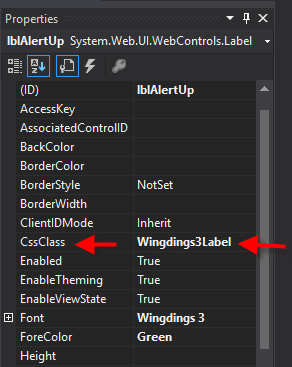 Please add cssclass attribute as I have added in my label. Also I never said anything against VS putting a space in fonts name. When we put CSS we have to consider that we name custom classes without space that's why I have winding3label. Sorry I am posting from my cell hence not able to write the example. Please post your tags from the Aspx. I think there is some conflict here. Or the fonts are not being included. Also one tip, the more you work in Aspx the better results you will get. Designer generally messes things up. <asp:GridView id="GridViewHierachical" runat="server" AutoGenerateColumns="False" CellPadding="0" CellSpacing="2" GridLines="Vertical" DataKeyNames="delay_id" AllowPaging="true"
BackColor="White" BorderWidth="1px" BorderStyle="Solid" BorderColor="Black" PageSize="10" style="top: 4px; left: 2px; position: absolute; height: 22px; width: 98%; border-right-style: none; border-right-color: inherit; border-right-width: medium;"
The code you have posted does not utilize master page hence the CSS file is not applied to your current page. as you are not using a Master page here, we have to apply style sheet on per-page basis. Also I would like to know if this is a learning exercise or you are implementing a real-world system? I added it to the end of the ASP code for my page above the </style> tag. Sorry, but still same results - shows the letter instead of the wingding. To answer your question, both. My experince is in VB6, VB.NET, and MS SQL server. So I am new to ASP.NET and ASP.NET Web forms app. My task is to develop this single web page. I will then hand it off to someone else who will tweak the look of the page and actually implement the page into production. This will only be use inside our company on the intranet. Which browser you are using? I used your code in a page and was able to display the green arrow. Can you please check in browser console, do you see any errors? Based on your browser, you have to use F12 or CTRL + SHIFT + I to access browser console. And yes, if some one is going to take care of the tweaks then we are absolutely fine. I am using IE 11. I tried it in Firefox and Chrome and got the same results. Fair enough. Right click on the page in IE and then do a ViewSource, I think the CssClass is not applied but the only way to be sure about it is to check whether we have it in the background or not. Whatever you see in page's view source please post it here. Open the fonts folder in your project via Explorer. Right-click-> Properties. Take a screenshot and paste here please. If possible, do it for all the files. 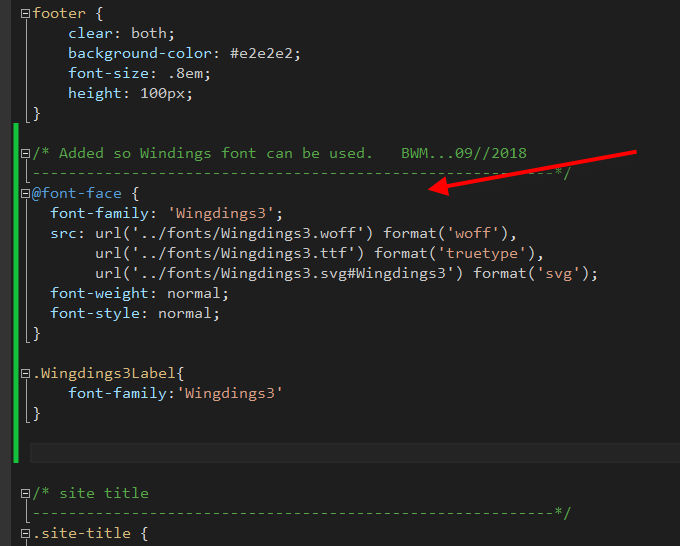 I just used your source that you posted and I could see the Green triangle after I made the necessary changes to the file so it is able to look up my fonts folder(not Windows, the Project) so the code so far is right. Only challenge I think is with the fonts and their lookup. So let's go step by step. Please check in Windows Explorer. Please show me the General tab. This looks alright. I don't think I have any more ideas beyond this point. If it is possible for you, I am more than happy to come on TeamViewer or any other screensharing app to have a look at this. I do not believe that the method I have shared has any issues - I think it is something on your system that is interfering or something that I am not able to pick up from the snippets you have shared so far. Another idea I had was if you could create a project from scratch and just make the change suggested in default.aspx to see if it is not working for only this project or for everything else. I'm making a new test app. I added the 1 line to the default.aspx and that didn't do anything - triangle no showing, only a green "p" shows on the webform. On my real program, when you had me add the "fonts" folder I just right-clicked on "Add > New Folder". I went to do that on the test app and noticed these options. Should I use one of those instead? I am very happy that you are willing to go extra mile and not give up. 4. Apply the CSS Class. Please do not use the designer. You can directly make changes to the ASPX. And Default.aspx? Same result? It looks like Webform1.aspx is not saved. Please save and try again. Also what happens when you put http://localhost:59220/fonts/Wingdings3.woff in browser's address bar? 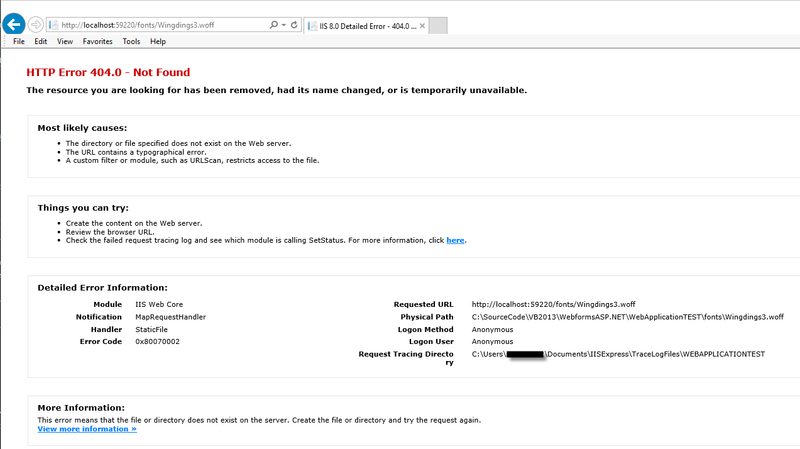 does it prompt to download the file or gives an error? So I changed it in the URL, but it still had the same not found results. I am going to add the "i" to all the filenames and see if that makes a difference. Super Silly miss from my end. So now to add it to my real code. Thank you very much for your help, time, and patience. 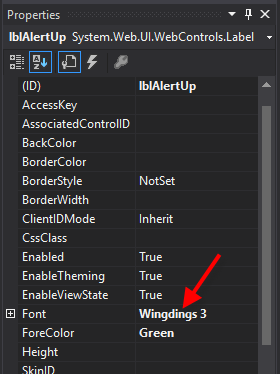 I had to add to the lable property CssClass "Wingdings3Label". I only added it to the green arrow one when we were testing. My friend... Thank you for your patience :) I was asking too many questions and I almost gave up when you did not. This is the result 'cause you are still in love with the designer. Kick it out... :D You have to apply that CssClass on all other labels. that's all.